Did you know that, according to The Association of American Colleges and Universities, 93 percent of employers want critical thinking skills even above a particular major? What does this have to do with a capstone reflection paper, you ask? Well, creating capstone projects is a great way to help you develop critical thinking skills. They can also be used to demonstrate those skills to future employers. As you can see, a quality project capstone can be crucial to your future success! You may, however, be lost on how to actually write one. We’ve put together this guide to help you figure out where to get started. S.D. Brookfield wrote in Developing Critical Thinkers: Challenging Adults to Explore Alternative Ways of Thinking and Acting, “It is generally believed that the thinking process involves two aspects: reflective thinking and critical thinking. They are not separate processes; rather, they are closely connected.” The takeaway from this: your reflection paper will help you develop your critical thinking skills. Employers love those, as you may remember from the previous section. So, when you’re writing your critical thinking reflection paper, keep in mind how it can help you. Additionally, discover some interesting finance capstone projects ideas. Everyone has the perfect paper in their head – the trouble is translating it to the real world. Take notes during the process: keeping great notes is the first step to a reflective paper! You don’t want to forget anything. Choose a period to just think: it’s never a waste to just stop and consider what you have discovered in your journey. Schedule some time to be contemplative before you write. Consider what was most important: what changed you most? What did you must learn? These are the questions that will drive your paper. Ask yourself questions: what would you want to know about this experience if it happened to someone else? Answer those questions in the paper. Jot down your thoughts: doing this informally helps take off some of the pressure that you might feel when writing an essay. Be as casual and conversational or even as fragmented as you want. Convert that into an outline: take all the stuff you’ve worked on and put it into an outline with points that represent your most important thoughts. Fill in the blanks: all you have to do now is expand your thoughts, and you’ll have a great first draft. Focus on reflection: it seems a bit obvious, but it’s very easy to accidentally end up summarizing your experience. Just as you don’t want to write a summary for an analysis prompt, you don’t want to simply talk about what happened for your reflection essay. Watch your tone: it’s easy to slip into informalities with a reflection paper since you’re talking about your own experience. However, try to avoid them except when absolutely necessary. Don’t forget to proofread: you don’t want to turn in a paper full of embarrassing mistakes. Check your paper at least twice before you turn it in, and try reading it out loud or backward. 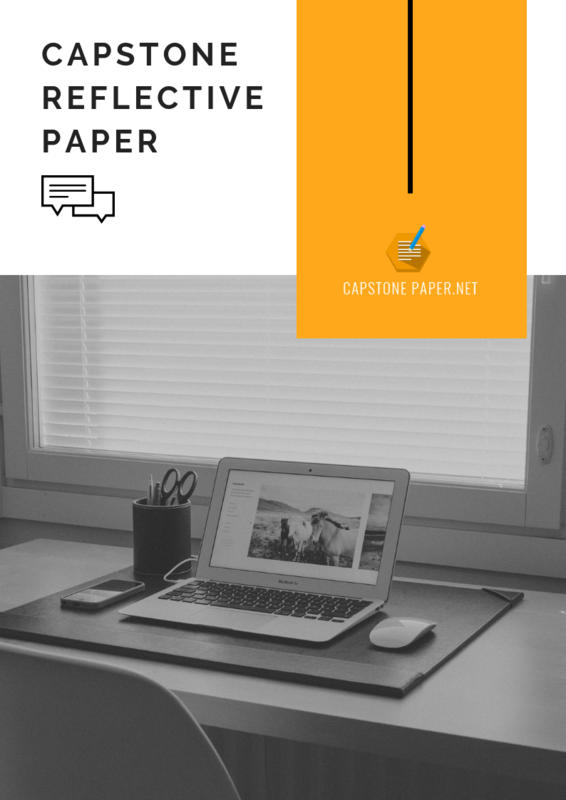 Capstone reflection paper allows students to show and develop their critical thinking skills while applying the theories they learned from school. It also shows their personal point of view about a certain topic or issue. This makes capstone reflection essay a good avenue to assess student’s knowledge of social issues and ideas. Reflection capstone paper also encourages students to think and write creatively while developing their analytical skills. Moreover, it helps develop their ethical leadership skills and approach to solve social issues of their interest. Gender study: what makes a man cry? How are women affected by today’s beauty standards? It is important to choose a person or a very close topic to you. Choose a topic that resonates or reflects your experience. This will help you write your paper effectively. 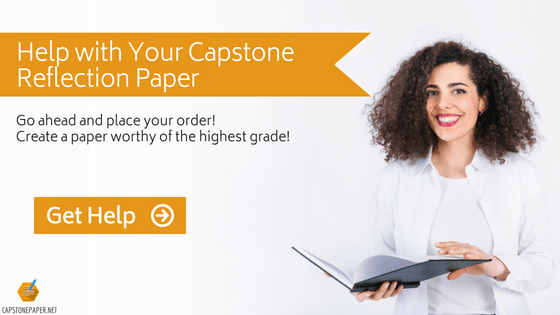 If you’re having a hard time, you can always consult Capstone Paper.net for professional writing assistance. Capstone reflection papers are a true challenge. They can help you to understand everything you did in the course of your capstone project – or they can simply be an additional source of frustration and anger. You have so much else to do in the course of a capstone project. It’s understandable to feel overwhelmed. Why not allow someone else to help you? With our service, you don’t have to struggle on alone anymore. We can offer more help in the form of tips and techniques, but beyond that, we can lift the weight from your shoulders. All of our personnel are experienced writers with an understanding of what goes into a good capstone project. The uncertainty which you now feel will be resolved, and you’ll come to a thorough understanding of what you need to do. With us, you’ll be able to feel confident in your writing again. For more reliable help with your capstone reflection paper, contact us to de-stress your life!